2011 February | Oh Shknit! I love Alana from Never Not Knitting. 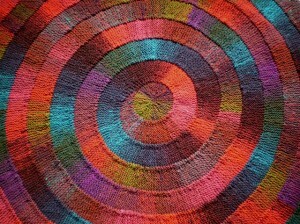 She has a great blog, a great collection of patterns, and a fabu podcast. But this blog post beats all others. I think it’s just the cutest things, from the darling model and her expressions to the captions and descriptions…not to mention the DARLING pint-sized knits that Alana is oh-so-good at! So, please check this post out to see just an example of Alana’s cleverness and creativity. Her podcast and other blog posts are clever also, but this one just is a personal favorite! Thank you, Alana, for the laughs, the creativity, and sharing your talent with all of us! So I have been busy doing other things, like cleaning, reorganizing my stash that has seem to have gotten out of control, and taking care of my kiddo. He was recently diagnosed with ADHD and we are trying to figure out a medication that will work for him. He just started medication #3 over the weekend and so far, not so good. His dosage is getting increased starting this weekend, and hopefully that will be the little bit extra he needs. This has been a real struggle for he and I (and my mother, who is like his 2nd mother), but we know that it’s a process and I was forewarned it takes time and the first medication is very rarely the right medication. So the search is on. I did a little bit of shopping today. I bought a couple of books I have had my eye on, a magazine that I rarely enjoy that I absolutely love this time around, and a few skeins of yarn. The books I purchased were Big Girl Knits and Sock Yarn One-Skein Wonders. The magazine was Knitscene. Seems Interweave has done something right lately, because I am SO antsy for the Spring issue to be available at JBW or a local bookstore, and I love love love the Knitscene (Winter/Spring 2011). The yarn that I got was Panda Silk in a beautiful tangerine color, and the last clearance skein of some Soja yarn that is in the same colorway and dyelot as the last 2 I got. 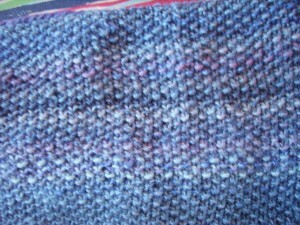 I just ripped the sock I was making from that yarn, and am going to find a project in the One-Skein Wonders book. There are several sock yarns that I have that for one reason or another I am just not digging for making socks, and being part of the Sock Yarn Stashdown with Stash and Burn, I want to get through those first. I finished 3 projects yesterday. Yes, 2 of them were little Mochimochi Hearts that took me no time at all, but they still count. 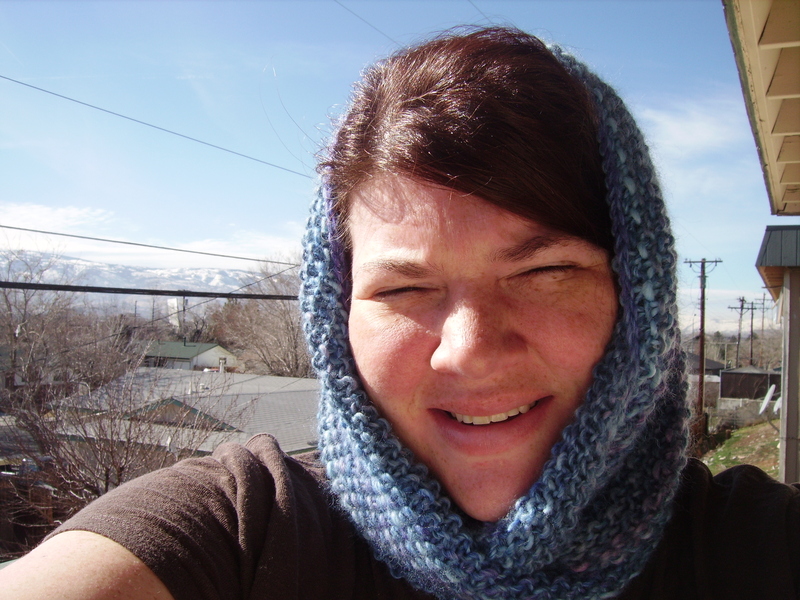 I used yarn and finished them, dammit! The other is a beret that I made out of some BamBoo. I made up my own pattern, nothing special really, but I love how it turned out. That BamBoo is splitty as HELL though. 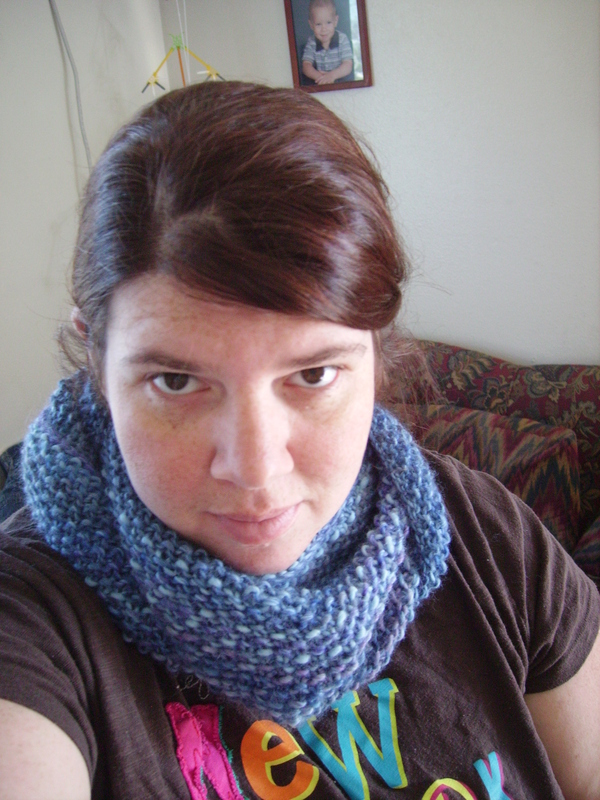 It irritated me pretty much the whole time, so I am glad it was a quick project. The only other time I worked with bamboo yarn was when I made (WHAT THE HELL IS THE NAME OF THAT TANK?) 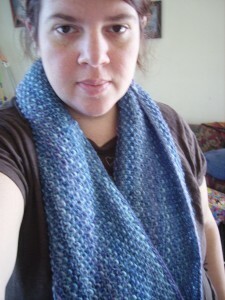 and I made that out of Twize, which wasn’t nearly as splitty for whatever reason. It didn’t seem to have as many plies. I still remember it being slightly splitty though. I am super excited looking through the One-Skein book. 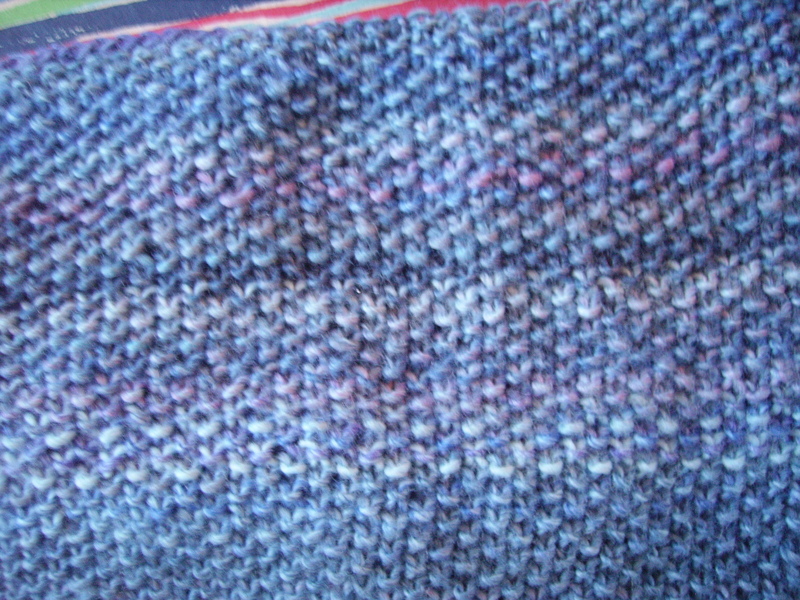 I have several yarns that I can already see done with several projects. I am still working on the Multnomah Shawl with the Noro Kureyon Sock Yarn, but I can see this is going to be one of those ‘in-process’ projects for a long time, that I work on in between other projects. I haven’t even gotten to the pattern yet, I am still just trying to increase to the 200 whatever stitches that it calls for. That’s ok though, I am still enjoying it. Vogue Knitting has all of their patterns on sale for $2.99 through Friday, February 11th. 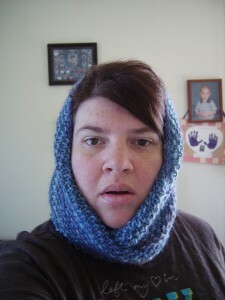 Now is the time to get those patterns you have been wanting but not willing to pay $6.00 for! Wahooie!